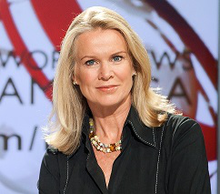 Katty Kay is co-author (with Claire Shipman) of two New York Times bestsellers. Her latest, The Confidence Code:The Science and Art of Self-Assurance—What Women Should Know, inspires women to understand that confidence – the lynchpin of success – is a choice. She shows ways to break out of comfort zones and take risks that pay off. In her first book, Womenomics: Write Your Own Rules for Success, she examined the workplace revolution and inspired women to take control, dream big and discover a different way of weaving work into their lives – and in the process create more profitable companies with happier and more productive employees.